March 6, 2018: Totally new website design! Additionally, I've been at the Arizona Fine Art Expo for the past two months, and I've used my time here to update a lot of albums. In fact, I've added more photos in the past month or so than at any time other than when the website first launched. Over sixty new photos can be found in a brand new New Mexico album, as well as updated Utah, Arizona, Texas, and South Dakota albums. January 29, 2018: I spent a fair bit of time in the Midwest last year, and got some nice photos from the region. Click here, or on the photo below to view my newest gallery! January 17, 2018: I'm presently exhibiting at the Arizona Fine Art Expo, in Scottsdale, Arizona. I'll be here through most of March, and am exhibiting a lot of brand new work at sizes that must be seen to be believed. Come on out and say, "Hi!" December 2, 2017: I spent 5 weeks during the summer of 2015 in Kenya and Tanzania. 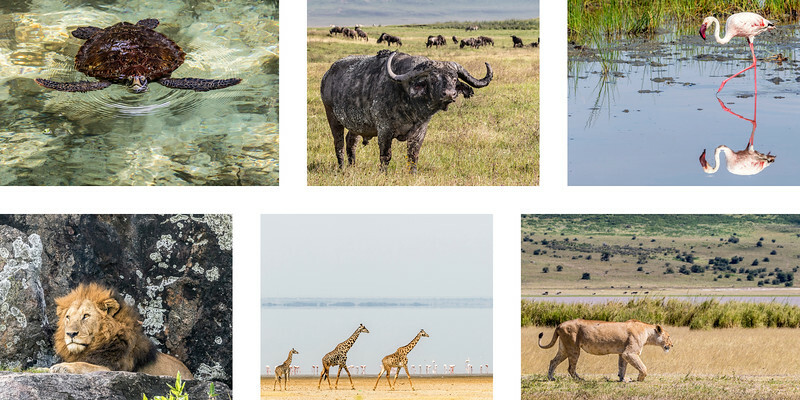 Well, I finally got around to getting my Tanzania photos sorted out and up on the website. Check the album out by clicking here, or on the picture below. October 26, 2017: Iceland has been in my top three travel destination goals for more than a decade. I finally made it there for three weeks in September and October, 2017. Check out the gallery here. August 28, 2017: It's funny how living in a place sometimes makes it that much more difficult to explore or photograph. Such has long been the case for me, with my home state of Colorado. Well, I had a few shows there this summer, and I used this as an excuse to strengthen my Colorado portfolio a good bit. Click here or on the photo below to check out my newly updated and improved Colorado gallery! July 19, 2017: Updates usually only come around at the beginning of the month, but I've broken with tradition and added a fair number of new photos to my Colorado album. Check 'em out! July 2, 2017: I've been home from my last major, international trip for almost exactly two years. How the time flies! I spent 5 weeks of this trip in Kenya and Tanzania, but hadn't posted many photos from either of these locations. Click here or on the photos below to be taken to my finally-completed Kenya album. Tanzania will be up in a month or two. May 26, 2017: This is pretty cool. I had a 3-D tour of my booth created last weekend. 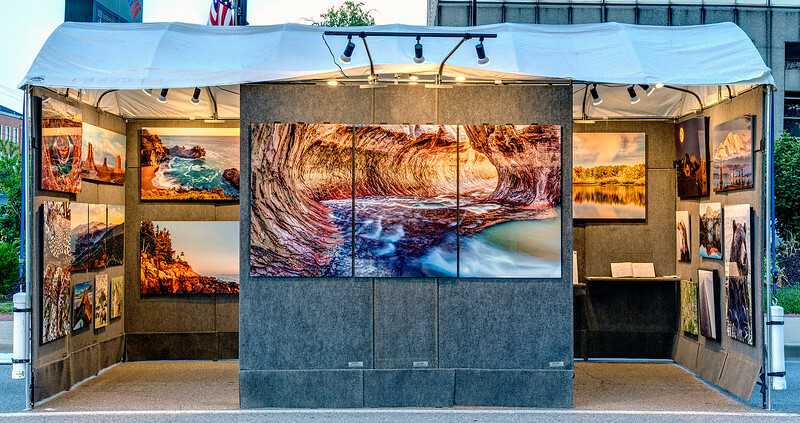 Click here, or on the photo of my booth, below, to check out my display in 3-D. You can even view it in virtual reality if you have the proper hardware. I also finished my edits for my Eastern Canada photos recently, so click here to see the now-completed album. Finally, I have a show in Chicago this weekend, and Minneapolis the following weekend, but after that, I have a weekend off before I have to be in Virginia Beach. This will give me a bit of time to do some shooting in the Great Lakes area of the Northern United States. This has been a location I've been wanting to shoot for a few years, so while a week or so probably won't give me enough time to get all the shots I want, I hope to get a few keepers. 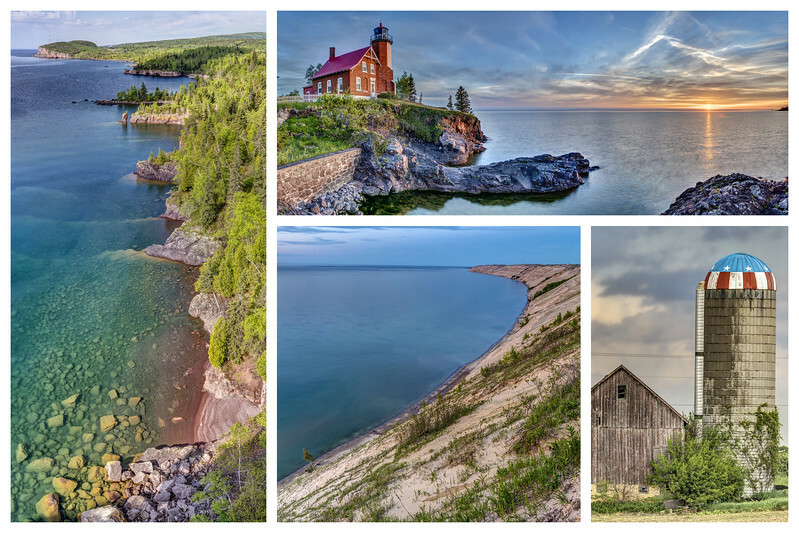 Come back from time to time, and within a couple months, I ought to have a whole new album up featuring some of the Great Lakes shots I aim to capture in the coming weeks. May 4, 2017: I had a tremendous show in St. George, Utah, a couple weeks ago, and used some extra time I had to do some shooting in Zion National Park. 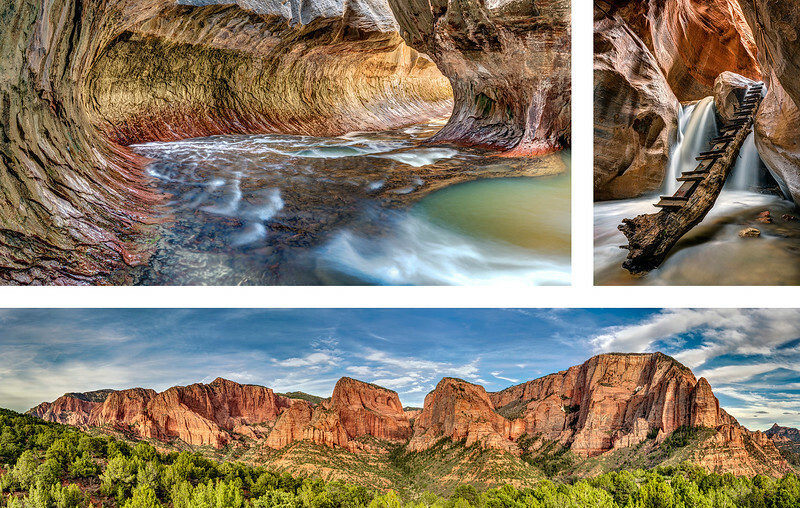 I've shot in Zion several times in the past, but I've never had great weather, and didn't think any of the photos I got were good enough to offer for sale. Well, all that has changed. Click here, or on the photos below to be taken to my newly updated Utah album. April 5, 2017: I made it to Texas just in time for the annual appearance of the bluebonnets! 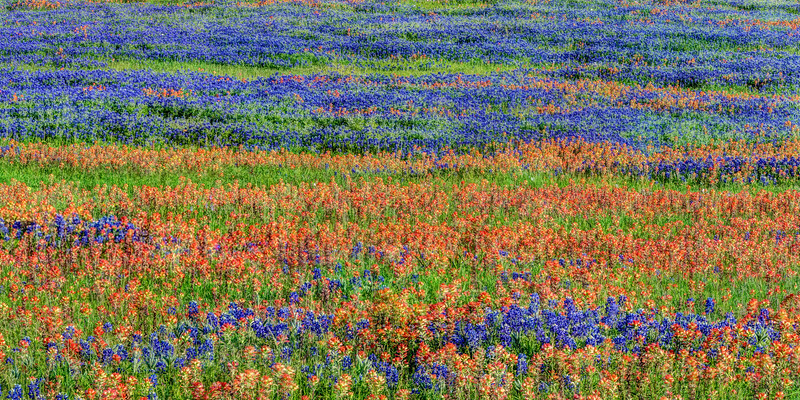 Although I don't believe 2017 has been a particularly good year for wildflowers in Texas, I managed to do a lot of driving around in areas known for these Texas icons, and have found a few good locations. Enjoy the photo below, which I took just yesterday, outside of Brenham, Texas. Lastly, now that I'm through shooting in Florida until late this year (at the earliest), I've finished posting all my Florida photos. I got some pretty great swamp and beach stuff before I left the state. Check 'em out! March 3, 2017: How the time flies! With only three weeks left in Florida, I can report that the first few months of 2017 have contained a fun and successful series of shows. I've used my (admittedly limited) free time to do some traveling and photography in the Everglades, southern Florida, and the Keys. Check out my recently-updated Florida album here. In about a month, I'll be heading to Texas, where I will be appearing in at least three shows, and then, come May or so, the entire country opens up. Keep up with my appearances here - perhaps I'll be coming to a city near you! New website functionality, and triptychs! Each photo now has text indicating its size availability. I've also added triptych options for my panoramas. Since triptychs can be ordered on canvas and paper, this now means there is a cheaper option than aluminum prints for my large panoramas. A new addition to my Florida album - Naples Pier Panorama , shown here as a triptych. 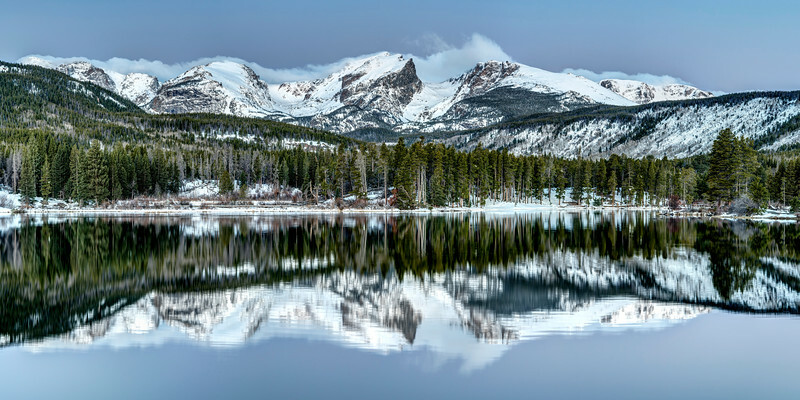 All my panoramic photos are now available to order as triptychs. January 21, 2017: I've been on the road for almost three weeks, and have appeared at two shows in Florida, so far. Both went quite well. I have eight more Florida shows in the next eight weekends - check out my full appearance schedule here. 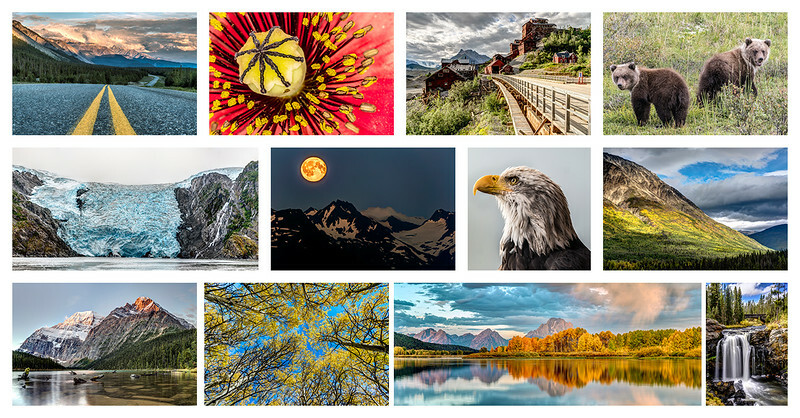 In a further attempt to offer more photos of the type of scenery and wildlife that is available in Florida and the southern United States, I've updated these albums with some great shots guaranteed to bring some happiness and color into any room. Some of the Florida shots were taken last week, in the Audubon Corkscrew Swamp Sanctuary, just outside of Naples. Thanks to everyone that has stopped by my booth at the shows I've attended, and I look forward to meeting a lot more of you throughout the rest of the year! December 30, 2016: Hooray! My first year as a full-time professional photographer is finally coming to a close. 2017 is looking like it will be a great year for Glenn Lewis Photography. I am going to be appearing in art shows and festivals all around the country, starting with Florida for the months of January through March. Check out my appearances here. New dates are constantly being added, so check back often to see if I'll be in your area any time soon. And coinciding with my upcoming Florida shows, I figured, now that I've been away from Australia for six and a half years (Wow! How the time flies! ), I ought to finally finish editing and posting my photos from this beautiful country, and one of the places in which I took more beach-related photos than most others. Check out my finally completed Australia album here. December 8, 2016: I am restructuring my business for 2017, and need to reduce my inventory. Check out my "Inventory Reduction Sale" photos, which are 50% to 67% off of normal prices, and begin at $25. This is a great chance to grab some spectacular pieces as holiday gifts! Additionally, I've added some new compilation albums. The "New Photos" album contains photos that I've put on glennlewisphotography.com in the last three months. 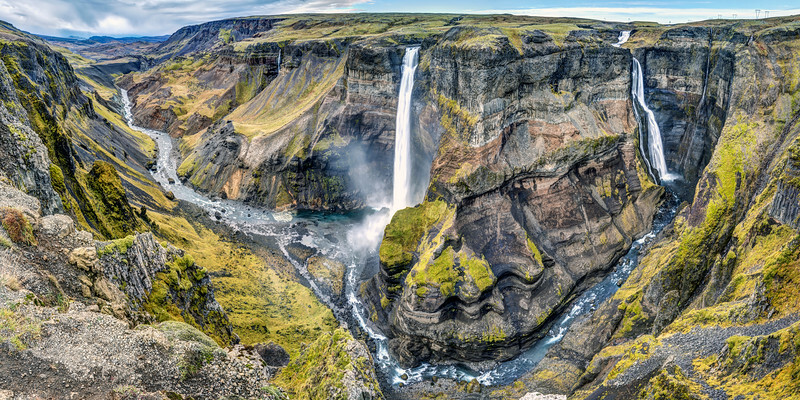 The "Landscape Format" gallery contains photos that are wider than they are tall. The "Portrait Format" gallery contains photos that are taller than they are wide, and the "Square Format" gallery contains ... well ... you get the picture. Finally, I've updated my "Appearances" page, which lists the shows I will be exhibiting at in the future. Many more shows will be added in the future, so check back often to see if I'll be in your area any time soon! October 27, 2016: It's about time for me to hit the road again. I will be appearing at four shows in Florida and Arizona throughout the month of November. For show dates, locations, and additional info, check out my appearances. Also, I returned home from my three-month Alaska Adventure roughly a month ago. I've put all the photos that I took on this trip into one album. Click here, or on the collage below to check them out. See something there you like? Don't click 'buy,' call (970.702.4371) or email me (glenn@glennlewisphotography.com), and I'll give you 33% off the price listed on my site. June 28, 2016: My spring and summer 2016 shows have finally come to an end. All things considered, I suppose they went as expected. I sold a fair amount of work, but much more importantly, I learned a lot of valuable lessons that will help me out a great deal in the future. What's next for Glenn Lewis Photography? I'm going to be leaving Colorado within a couple days to spend July through September in the Canadian Rockies and Alaska. It's a trip I've dreamed of for years, and it will surely provide me with a ton of opportunities to get some world-class photos. My internet availability is going to be far-from-ideal for the duration of the trip, but I will do my best to post some work from my trip as often as I can. And lastly, I finally joined Instagram. If you want to follow me there, you can find me, predictably, with the username glennlewisphotography. May 31, 2016: My first season of traveling and attending shows around the country is nearing its end, but I still have a few more shows left. All told, I've put 18,000 miles on my car since January, and sold over $12,000 in photos. The quality of the shows I have attended thus far has been mixed, but I've been learning a lot, and there is definitely promise here. It looks like Glenn Lewis Photography is on the right path, and there should be significant growth in the next few years. Thanks to everyone who has supported me, and I hope to meet a lot more people at future shows. My best selling images so far: Delicate Arch at Night, North Clear Creek Falls, Pika, Pollen-Coated Bee, Rattlesnake Canyon 2, and Beautiful Mandarin. April 28, 2016: I added a few more photos to my Southern United States album, because I figured people who meet me at my May, 2016, Florida shows might be interested in these types of photos. Click here to see all the new photos I've added specifically for these shows! April 23, 2016: The first three shows I participated in went pretty well. I certainly learned a lot, and am quite sure that things will only get better from here on out. I've got eight more appearances in the next eight weekends, come say "Hi!" if you are going to be around. Here's a list of my show locations through June. Also, since I am going to be having a couple shows in Florida, I figured I should add some beach and swamp photos to the site. Check out my new additions for my Florida shows here, or by clicking on the panorama below. April 4, 2016: I just completed my first show - Arts in the Square, in Frisco, Texas. I sold eight limited edition prints, and can count the show as a wonderful success, especially considering it was my first ever! With ten shows coming up in the next eleven weeks, I'm excited to get Glenn Lewis Photography increasingly recognized around the country. Check out my upcoming appearances here. March 31, 2016: With two shows in Texas in the next three weeks, I decided to add some photos to my Southern United States album - specifically, pictures taken in Big Bend National Park, a truly beautiful place that I visited in October, 2015. Check it out! March 28, 2016: All the photos on Glenn Lewis Photography are now available printed on paper, canvas, or, my personal favorite, dye-infused aluminum. March 27, 2016: My spring- and early summer show schedule is filling up nicely. Click here to see my show schedule for the next few months. 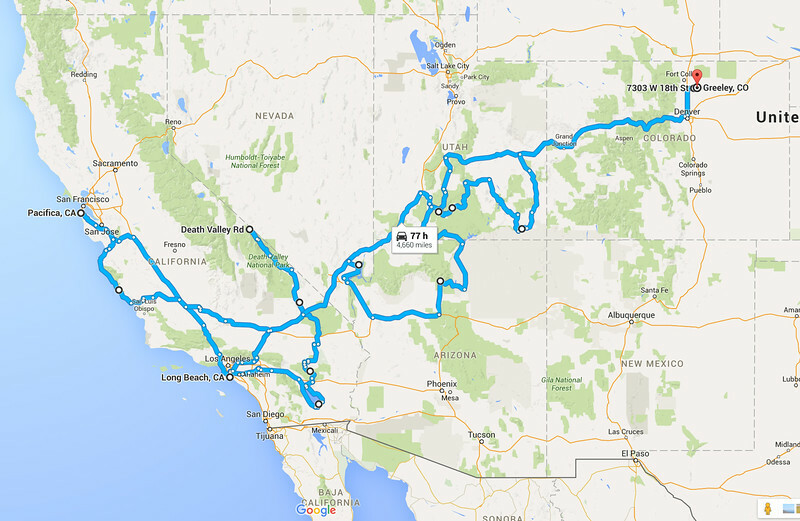 March 22, 2016: I just completed a six-week trip through California, Nevada, Arizona, and Utah. I visited a great number of State and National Parks along the way, and got a lot of great photos. Check out my travel album here, or click the panorama below to check it out! March 14, 2016: In the last couple weeks, I have driven from LA to San Francisco along the stunning central California coast, and then completed a week-long trip from San Francisco, California, to Greeley, Colorado, visiting a number of State and National Parks in Nevada, Arizona, and Utah along the way. I will be putting up pictures and stories from this trip soon. Below is a rough map of the route I took. I put about 6,600 miles on my car since the end of January, when I first headed out to California. Next: I am going to be appearing at a lot of art shows across the country in the next few months. Check out my appearances here. I will be adding a lot more shows to this as I decide which invitations to accept in the coming weeks and months. February 29, 2016: Lots of news from the last few days. First, thanks to everyone who came out to my photography exhibition in Long Beach a couple days ago. Much appreciated. Second, I won "Best Photograph" in the "Art from the Heart" Photography Exhibition in Greeley, Colorado, for my picture, "Pawnee Buttes at Sunset." It can be seen and purchased here. Third, I just got back from an incredible few days in Death Valley and Joshua Tree National Parks in California. My time there was among my most photographically productive for such a short time in my entire life. I've created a new "California" album, check it out! I will be traveling around California and Utah for the next few weeks, so updates during this time will be sporadic, but when I am back home, there will be a lot of new stuff going up from all my travels in the last year: China, Mongolia, Kenya, Tanzania (no album yet), Eastern Canada, the Eastern United States, the Southern United States, and now, California.